Drones are everywhere; from Amazon and Walmart using them for home deliveries, to people turning them into home-made flying machines. Now, it seems, Twitter wants to get in on the act, as the company has applied for a patent for a UAV. Twitter’s patent doesn’t mention the company actually manufacturing a drone; instead, it describes a camera-carrying UAV that can send video and pictures to a messaging platform that are then placed in an account associated with the device. The patent also states that video footage from the UAV will be live-streamed, suggesting that it will work in tandem with Periscope, Twitter’s live-streaming app. The most interesting part of the patent mentions that Twitter users will be able to control the drone “with commands embedded in messages and directed towards an account associated with the UAV.” The controllable elements include the UAV location, camera, camera subject, projector, and a detachable payload. The patent goes on to state that: “Some UAV functionality may be triggered through aggregated engagements on the messaging platform,” which suggests that Twitter functions such as likes, retweets and replies will be used to give instructions to the drone, telling it where to fly and what to photo/video. An unmanned aerial vehicle (UAV) carries a camera, sends data from the camera, and receives commands. The UAV is connected to a messaging platform. Pictures or video clips received from the UAV are selected and placed in messages broadcast by an account associated with the UAV. Video footage from the camera is live-streamed in a card-type message. Account holders of the messaging platform may control the UAV with commands embedded in messages and directed towards an account associated with the UAV. 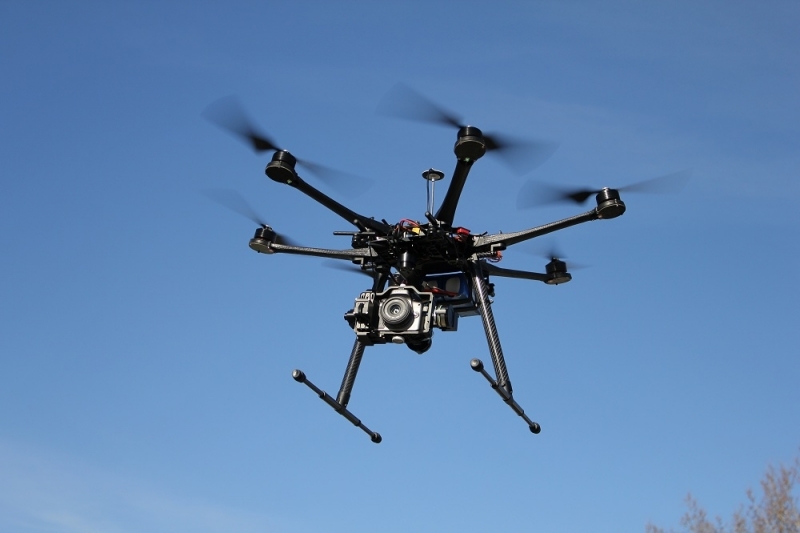 Controllable elements of the UAV include UAV location, camera orientation, camera subject, UAV-mounted lighting, a UAV-mounted display, a UAV-mounted projector, UAV-mounted speakers, and a detachable payload. UAV control may be determined through democratic means. Some UAV functionality may be triggered through aggregated engagements on the messaging platform. The UAV may include a display screen and/or a microphone to provide for telepresence or interview functionality. There are still some unanswered questions about how the drone will work, and you have to wonder about the safety implications; not sure what the FAA will make of it, although there’ll doubtlessly be a human backup pilot. Twitter declined to comment on the patent or the device, but a spokesperson did say to NBC news: "Two words: Drone selfies."